ESF schools continue to achieve outstanding results in public examinations. Over the summer, we are celebrating excellent IB Diploma, Applied Learning, IB Middle Years Programme (MYP) and GCSE/IGCSE results. In May 2018, about 1,000 Year 13 students from Discovery College (DC), King George V School (KGV), Island School (IS), Sha Tin College (STC), South Island School (SIS), Renaissance College (RCHK) and West Island School (WIS) completed the IB Diploma. Students smashed the IB worldwide scores, with an average score 36 which is significantly higher than the global average (29.78 from the IBO). 16 ESF students achieved the perfect 45 points. In 2018, 99 Year 13 students from King George V School, Island School, Renaissance College, South Island School and West Island School successfully completed the Applied Learning Pathway. These students followed personal pathways that involved the Business and Technology Education Council award (BTEC), or BTEC with a combination of either IB subject courses and/or AS-levels. BTEC subjects studied include Art and Design; Business; Creative Media Production; Hospitality; Engineering; Performing Arts; Public Services and Sport. For the BTEC Level 3 Subsidiary Diploma, 53% of entries were awarded a distinction or above and 75% a merit or above. For the BTEC Level 3 Diploma, 65% of entries were awarded a double distinction or above and 86% a double merit or above. Six students from Renaissance College followed the IB Career-related Programme (IBCP), which was jointly launched by Renaissance College and Savannah College of Art and Design, Hong Kong (SCAD) four years ago. The programme combines foundation courses at SCAD with IB Diploma courses and the IBCP core subjects at Renaissance College. All six students taking the IB Career-related Programme (CP) were awarded the CP, with one of these students achieving the bilingual CP. 2018 is the tenth year that Year 11 students at Renaissance College have completed the International Baccalaureate Middle Years Programme and the seventh year for Discovery College students. The mean grade per assessment is 5.63 points. This is the highest figure yet for ESF and compares favourably to the worldwide mean of 4.5. The mean number of total points per student is 50.8 points out of a maximum possible score of 63 points. This is the joint highest figure yet for ESF. In May 2018, about 1,000 Year 11 students from King George V School, Island School, Sha Tin College, South Island School and West Island School participated in the General Certificate of Secondary Education (GCSE) and its international equivalent the International General Certificate of Secondary Education (IGCSE). 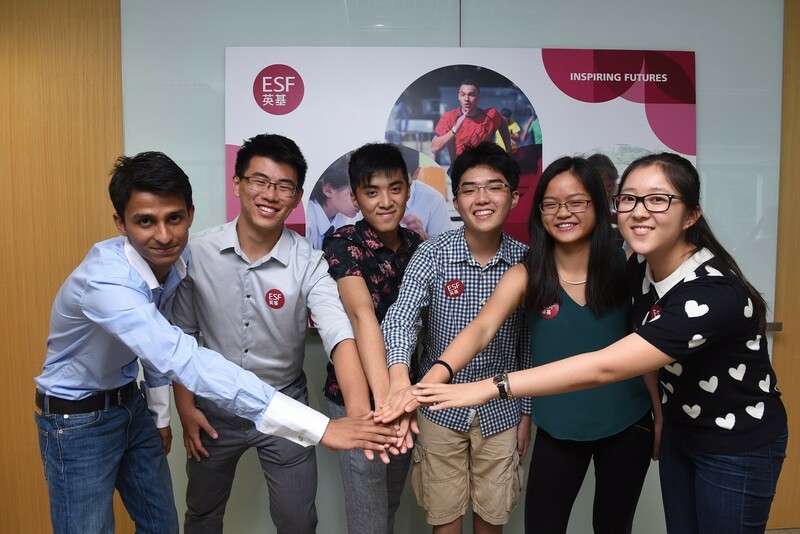 ^This year, around 8% of ESF’s examinations were graded using the new “9 to 1” system, including computer science, food technology, English language, English literature, art and design, fine art, 3D design and dance. A grade 4 is broadly equivalent to a low grade C and a grade 8 or 9 is broadly equivalent to a grade A*. We are pleased with the individual achievements of students in our Learning Support Centres (LSCs). Students took a range of external qualifications appropriate to their needs. These include: BTEC awards, (I)GCSEs, Edexcel Entry Level awards and the ASDAN Personal Development Programme awards.